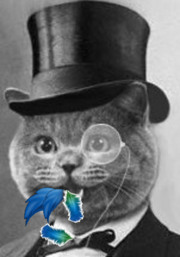 Tian Lu Tuesday, February 05, 2019 - IP&Innovation, IPIRA, IPScholars Asia. Asian IP express here! 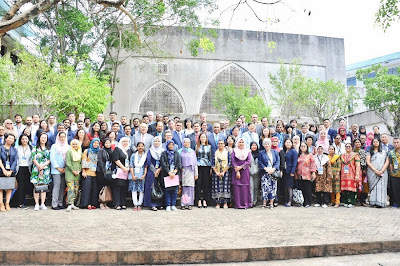 The IPKat is delighted to receive and publish the following guest post by Katfriends Prof. Irene Calboli and Prof. Jacques de Werra on the First IP & Innovation Researchers of Asia Conference, which was held on January 31 & February 1, 2019 at the International Islamic University Malaysia. 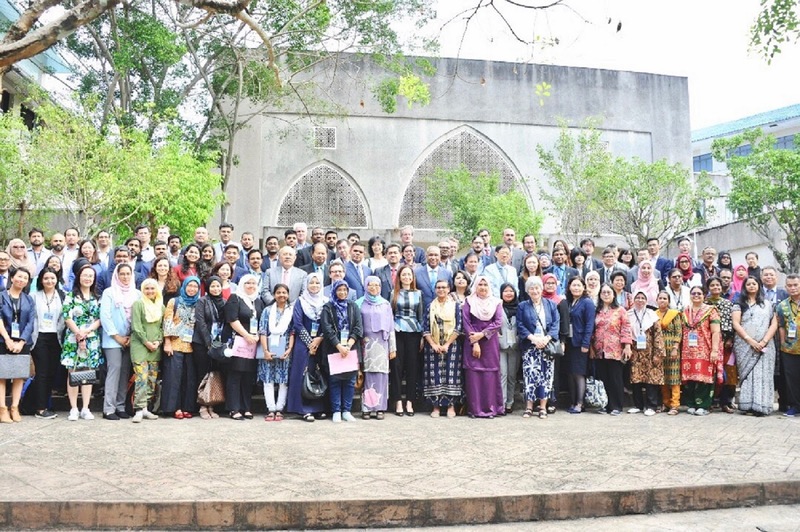 "Over 150 scholars from different countries in Asia, Europe and North America and Australia gathered in Kuala Lumpur, Malaysia, on January 31 and February 1, 2019, for the First IP & Innovation Researchers of Asia Conference (IPIRA). IPIRA is an initiative created to provide a forum for IP academics and researchers to present and discuss their papers and works-in-progress. The First IPIRA was organized by Professor Ida Madieha Abdul Ghani Azmi, Ahmad Ibrahim Kulliyyah of Laws, International Islamic University Malaysia; Professor Irene Calboli, Texas A&M University School of Law and Faculty of Law, University of Geneva; Professor Jacques de Werra, Faculty of Law, University of Geneva; Mr. Sherif Saadallah, WIPO Academy, World Intellectual Property Organization (WIPO), and Mr. Antony Taubman, World Trade Organization (WTO). IPIRA is an initiative modelled after the IP Researcher Europe Conference (IPRE), which is jointly organized by WIPO, WTO, and the Faculty of Law of the University of Geneva. 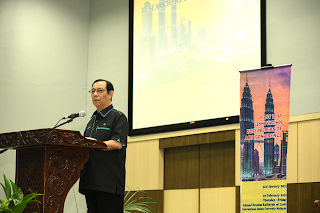 International Islamic University Malaysia’s Rector, Professor Tan Sri Dato Dzulkifli Abdul Razak, opened the Conference with an (intellectually) provocative speech highlighting the importance of an IP system that takes into account the necessity of a dialogue between different regions of the world and a balance between protection and access. This theme was addressed under multiple perspectives throughout the 2 days of the First IPIRA by the many presentations by scholars — from junior to very experienced academics — in parallel sessions. The sessions focused on topics spreading from Trademarks, to Patents, AI & New Technologies, Copyrights, Access to Medicines, Standard Essential Patents, Geographical Indications, IPRs & Trade, Genetic Resources and Traditional Knowledge. All these sessions were not just very well attended, each of them brought about much food for thought for the audience and led to lots of follow up discussions! The Conference Program is available here. The First IPIRA featured two plenary sessions. The first session presented a speech by Mr. Antony Taubman, Director of the Intellectual Property Division of the World Trade Organization, focusing on the relationship between academic research and teaching and policy making and the importance of connecting the academic community with the policy markers both at the international and national level. The second plenary session featured Mr. Sheriff Saadallah, Executive Director, WIPO Academy, World Intellectual Property Organization, who discussed the challenges and opportunities for IP teaching and researching. The Second day of the Conference was graced by the visit of the Malaysian Minister of Trade and Consumer Affair, Seri Saifuddin Nasution bin Ismail, who delivered a Keynote presentation on the importance of IP for innovation and economic progress in Malaysia. 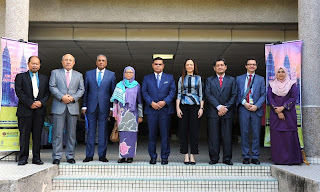 The Chairman of the Malaysian IP Office (MyIPO), Dr. Rozhan Othman, and the Director General of MyIPO accompanied the Minister and later enjoyed the presentation of scholars in parallel sessions. An additional highlight of the First IPIRA was the presentation delivered by Dr. Shahidah Bt Shariff, Chief Executive Officer, Petroliam Nasional Berhad (Petronas) Research Sdn. Bhd., who discussed Petronas’ research strategy and intellectual property at the Gala Dinner of the First IPIRA. Overall, the First IPIRA was a resounding success, and we all already look forward to the Second IPIRA in 2020, which will take place in Indonesia. 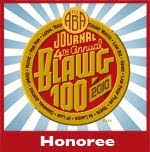 Details in this respect will be announced soon!!" Photo credit for all pictures regarding the conference is to be given to Islamic University Malaysia.